Revamped Google Nexus 7 seen with Android 4.3 at the FCC? With the only new device seen at Google I/O a "Google Edition" of the Samsung Galaxy S4 with stock Android on board, there is talk that we will soon see an updated version of the Google Nexus 7 tablet built by ASUS. Could that be the slate that was seen visiting the FCC the other day? The device was powered by Android 4.3 which was confirmed when the same tablet, the ASUS K008/K009, was spotted at the Bluetooth SIG, getting certified for Bluetooth 4.0. This new 7 inch tablet has a 1080 x 1920 resolution. The CPU under the hood is the Qualcomm Snapdragon S4 Pro with the Adreno 320 GPU handling the graphics. 2GB of RAM and 32GB of native storage are aboard and the camera around back is 5MP. The snapper on front of the tablet weighs in at 1.3MP and it all runs on a 3950mAh cell. There is support for NFC and LTE and there could also be support for Qi wireless charging. The bezel will be thinner than the one on the current Google Nexus 7 and the case will be thinner with a measurement between 7.5mm and 8mm. Not introduced at Computex as originally hoped. the tablet is now expected to be unveiled around the same time that Android 4.3 is. The question now is whether this will be a new Google Nexus 7 model or merely a new ASUS branded slab that happens to run stock Android. finally this one has a back cam,but i prefer ipad mini 2.
what a cry baby... just kidding :P IDK people won't buy android tabs because they lack apps, devs wont develop because no one is buying android tabs... who goes first? I like not having a back camera. One less thing to worry about scratching. I think the Nexus 7 current model looks great on the back. 1920x1080... bleh... they went with the narrow screen 1920x1200 please! This is a slight disappointment. 16:10 is the perfect tablet size, good for multimedia but not too wide for reading etc. But I can't recall a single S4 Pro device doing x1200, so this will definitely be x1080. 3950mah ? Isnt the current gen nexus 7 pack 4000+mah battery ? Also a disappointment, but something's gotta give. It looks like a slimmer, thinner, lighter device, easier to carry around. I wouldn't rule out a small screen size increase either, you know, 7,5 or something. That is not the Nexus 7, it is the MEMO Pad FHD 10. 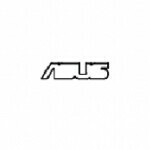 It is a new Asus tablet. I'd post a link but i'm not allowed (haven't been registered for more than 7 days). Google it and you will see it has these exact specs...it's a 10 inch tablet with Snapdrago S4 Pro, 5mp rear, 1.2 mp front camera, 1920 x 1200 display etc. Please check second image, then read the description 'The tablet features a 7" LCD..."
There is also a MeMO Pad HD 7. MeMO Pad HD 7 has MediaTek CPU, 8-16 GB flash and 800x1280 resolution. Definitely looks like the Newxus 7, specs and previous leaks, the timing of the FCC check, the July launch rumors, the year's turn since the first and the new Android version all point to the tablet update. The only pity is that it packs the great performing yet power destroying S4 Pro.